Lightroom Tutorial: What is Lightroom and What is it Used For? 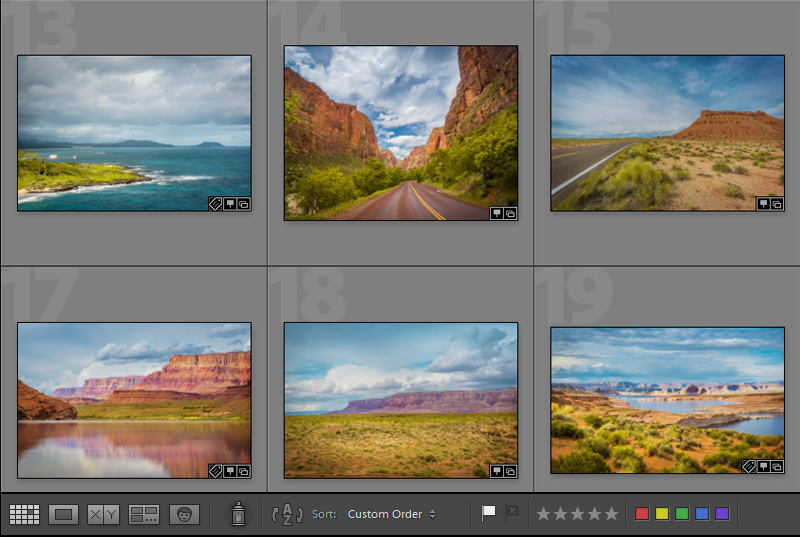 Over the last couple of years, Lightroom quickly became the most important tool for my photography. A couple of months ago as I planned tutorials and articles for my blog, I thought about creating two separate tutorials to cover both entry level use of Lightroom and more advanced use. I conducted a survey through my newsletter and, after reviewing the results, I discovered something much unexpected. There is a group of beginners who are aware of Lightroom and its usefulness but, at the same time, have no clear understanding of what is Lightroom, what it does and what is Adobe Lightroom used for. I also discovered that even more advanced users do not fully understand how Lightroom is different from Photoshop and how it fits into a digital photography workflow. Today’s article is my attempt to answer the following questions, in simple terms and without going into any specifics. 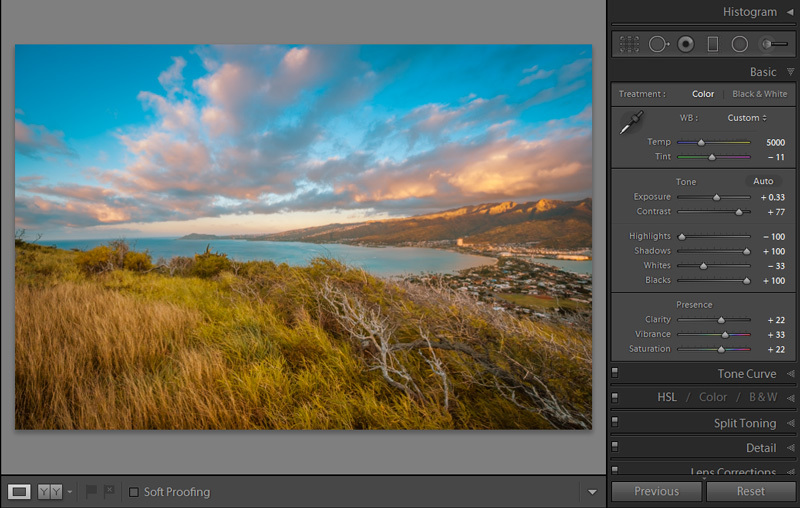 What is Photoshop Lightroom? What is Adobe Lightroom used for? How much is Lightroom? First, let’s start with encouragement. I have good news and even better news for you. The good news is that if you are just starting with photography, you do not absolutely need to buy and learn Photoshop. Lightroom will cover all of your needs for the first couple of years without the need to open Photoshop. The better news is that Lightroom is much easier to learn than Photoshop and is, by far, more fun. If you have ever used Picasa, the free photography tool from Google, then it will be easy to understand the concept of Lightroom. Lightroom is a professional grade of Picasa on steroids. Lightroom covers three aspects of the digital photography workflow: Organization, Editing and Publishing. The workflow starts with importing your photos into Lightroom where you organize them on a hard drive with the option to rename and tag them. The next step is Culling, probably the most exciting part of the entire workflow, and is when you go through your newly imported photos and select the best ones by using various rating tools. When you have a collection of “keepers”, it is time to move to editing. This is where your artistic vision and your personal style will help you choose the right editing tools and techniques. When you are done with editing, share “your precious” photos with the world. 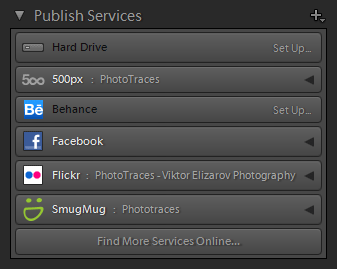 Lightroom gives you a variety of choices for publishing and sharing. You can create a collage and send it to a printer, publish your photos on a website as a gallery or, share them to a variety of social networks (Facebook) and online services (500px, Flickr, SmugMug). Lightroom will keep track of your photos for you. For example, if you need one specific vacation photo from 10 years ago, it will be very easy to find thanks to Lightroom! I consider Photoshop to be one of the most successful and powerful applications ever made. The only problem, despite its name, is that it was not built specifically for photographers. Photoshop is used by doctors, engineers, animators, designers, and marketers, to name a few and, as a result, offers extensive versatility that also brings enormous complexity. In 2006, members of the Photoshop team at Adobe released a beta version of Lightroom, a program designed specifically for photographers that addressed every aspect of a digital photography workflow. The main feature that differentiates Lightroom from Photoshop is that Lightroom was designed to work with enormous amounts of photos at a very fast speed. In 2006, 100% of my processing and editing was done in Photoshop but, with each new version of Lightroom, the program became more powerful and versatile, taking bigger bites from the Photoshop pie. Now, 90% of my photo processing is conducted in Lightroom and only 10% is conducted in Photoshop. I think I could even increase the share of Lightroom to 95%. The Photoshop/Lightroom usage ratio will of course be different for different photographers. For example, if you are a portrait photographer and you do a lot of retouching, then you will likely spend more time in Photoshop compared to an event photographer who shoots corporate events. When people ask, “What is better Photoshop or Lightroom?” they ask the wrong question. The two programs complement each other. Lightroom is ideal for its speed and efficiency while Photoshop is perfect for very specific advanced tasks. You, as a photographer, get to decide the ratio between Photoshop and Lightroom for your editing needs. In my case, I use Photoshop when I need to clean up photographs by masking or removing an ugly tree branch, for example, or replacing the boring sky by compositing two photographs together. But, as I mentioned before, when you are just starting all you need is Lightroom. How much is Adobe Lightroom? This question is one that I asked a lot and is driven by the misconception that professional editing tools are too expensive and unaffordable. This was absolutely true when I started in graphic design as Photoshop alone cost $1,000 and, in order to keep learning the program, I had to use it at work or use the 30 day free trial and keep changing dates on my computer. Now, you can buy the standalone version of Lightroom for around $150, which is an incredible deal if you compare Lightroom price to the price of photo equipment. Another option is to get the Adobe Creative Cloud Photography plan which comes with Lightroom + Photoshop and costs only $10 per month. I think this is an incredibly smart move by Adobe to attract amateurs to its professional tools. Amazing lightroom tutorial. Lightroom is most of use as like adobe photoshop. Thanks for share this blog.